The Sapodilla tree first seen by the Spanish in the Taino Caribbean, is a tree endemic to Central and South America and the Caribbean and is the source of chicle. A sticky, milky white sap collected today by chicleros and processed into world popular chewing gum as Chiclets, et al. Notice the name "Adams" on the Chiclets packet. He "inherited" Santa Anna's chicle that the general had brought to Staten Island from Mexico. 1. From the Nahuat (Mexica) word tzapotl (za-pot). 2. A large evergreen tree of tropical America, bearing a brown, rough, sweet, edible fruit and yielding chicle (chick-lay) 3. The fruit of the tree. 4. Also called sapodilla plum, sapota, Chico, Chico sapote, Zapote chico, Zapotillo, Chicle, Naseberry, etc. 5. Not to be confused with a different fruit, the sapota. 6. The source of chewing gum ; a sweetened and flavored preparation for chewing, originally made from the dried sap, chicle, of the sapodilla. Chewing Gum has a history in both Eastern and Western Hemispheres. The ancient practice in the Tropical Americas was the sap of the Sapodilla tree. North American Natives chewed sap from the spruce tree. Chicle from the Sapodilla tree was introduced to New York by the conqueror of the Texans at the Alamo, Antonio Lopez de Santa Anna. After 1860, Americans were hooked. It is ironical that contemporary Americans (especially their soldiers) are hooked on chewing gum from people South of the Border who are seeking asylum from countries that produce the most chicle. "One of the oldest pieces of chewing gum dating back 6,500 years (C&EN, March 24, 1997, page 64) from Bokeburg, Sweden is believed to be from a natural tar. Elizabeth Aveling, University of Bradford, England, analyzed it and thinks the source was birch." It is obvious that humans have been chewing gum, mostly from the sap of trees for thousands of years. First encountered in the Caribbean after 1492, chewed by the Taino, chicle provides the highest portion of natural sap in the making of chewing gum today. The Taino, originally a South American people who possibly also chewed chicle as the local Central Amerindians did, continued to do so in the Caribbean where the Sapodilla tree was endemic to the area. The Sapodilla tree and its fruit made their debut to the newly arriving Spanish in the Caribbean soon after 1492. Its not called by its Taino name but by the later Nahuat (Mexica) derived word "sapodilla" or the English term"naseberry." The tree, Manilkara zapota, is the source of two popular treats. In the tropical places where it is grown or exported, it is a delicately sweet, brown, egg-shaped fruit. Although the dry sap, chicle, was chewed by the ancient Maya and its wood used as support beams in temple construction, to the world it is the source of chewing gum and is associated with American popular culture. Chicle's recorded entry into the United States began in the late 1860's with Antonio Lopez de Santa Anna the former Mexican president and famous general of the Battle of the Alamo. The fruit's value as an exported item to the Eastern Hemisphere, is evidenced by the many countries which now grow the tree and has more than 29 international names for the fruit. For example, India alone also has 30 named cultivars each with distinctive characteristics for the fruit they call baramasi (Bengal and Bihar), chikoo, chiku, sapota or sapodilla plumb. The tree is an ornate, large shiny leaved evergreen native to the Caribbean and Central America. It can reach 100 feet high and produces 2,000 to 3,000 fruits per year. Grown in the wild and as a fruit tree it has many uses. Its hard red wood is used economically for lumber, its milky white sap is used as chicle, and its fragile fruit is not easily marketed away from the source of its production. Sap from the bark of Sapodilla tree, like most plants which produce a similar liquid, was protection against insects and animals. The sap was exploited by indigenous Americans of Mexico who chewed the dry resin while the fruit was praised by the Aztecs and was grown and enjoyed by the Tainos. Tree resins have been highly prized by humans for many years. On Columbus' first trip into the Caribbean he was on the lookout for "mastic." (An aromatic sap from a small Mediterranean tree used in making varnishes and adhesives) The habit of chewing gum was also found among the early Greeks and Turks who chewed the resin of the mastic tree. In a similar contemporary fashion, some Jamaican children chew a gum from the dried sap of the imported Polynesian breadfruit tree. The use of the "blood" of trees for a variety of reasons was widely practiced in the Americas. 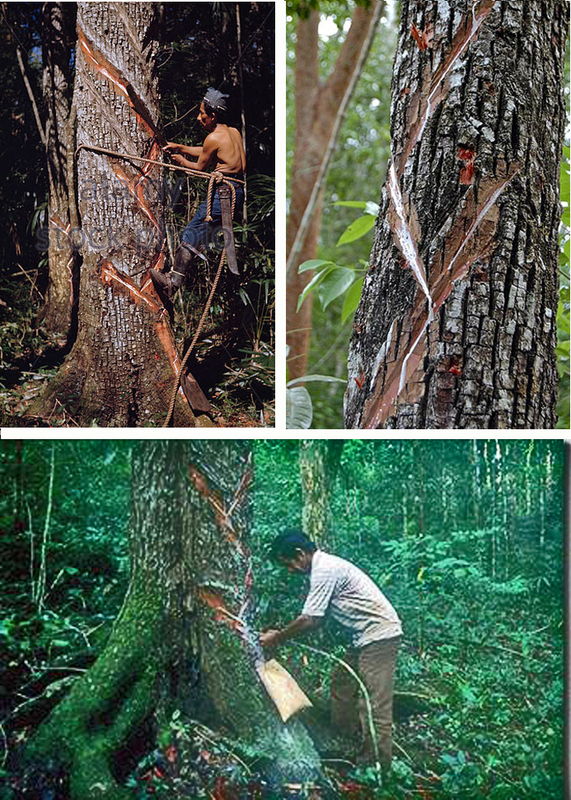 The Maya used quic (blood) from the rubber tree in the process of vulcanizing rubber (a skill which is believed to have originated among the Olmec). They also made a fragrant copal incense for burning in the temples. There is also the turpentine tree (Bursera simaruba) used as a sealant. The Island Carib (Kalinago) used the "blood" of the gommia tree as an ingredient in making a weather resistant, waterproof wood sealant for their canoes. Eastern Woodland people of North America made syrup from the sap of maple tree and chewing gum from the spruce. Mexican chicle chewing made its way to the U.S. market (and ultimately the world market) in the late 1860's through the infamous Mexican leader Antonio Lopez de Santa Anna. Antonio Lopez de Santa Anna: The man who brought chicle to the United States. Born in the state of Vera Cruz in 1794, entering in the army at 16, Santa Anna led the victorious Mexicans in the battle against the Alamo. He was later defeated by Sam Houston at the Battle of San Jacinto on April 21, 1836. Before the battle he was sidetracked through the intrigues of Emily West, a beautiful mixed race (mulatto) enslaved woman from the island of Bermuda. She is believed to be the person in the song *"The Yellow Rose of Texas", a notorious personality in a supposed "love triangle" between Sam Huston of Texas and Santa Anna of Mexico. 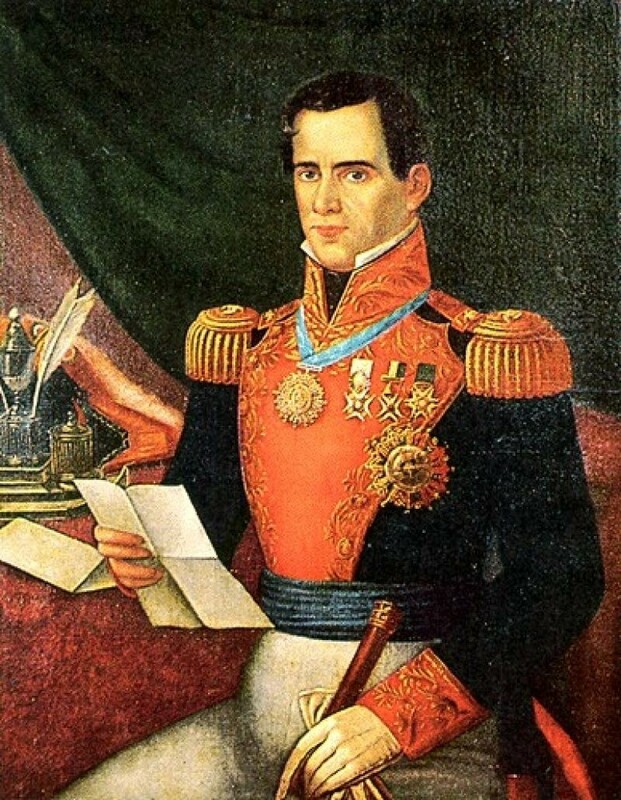 Santa Anna had a checkered life of victories and defeats in the Mexican military and politics. He directly ruled Mexico eleven times and his left leg had been blown off by a French cannonball in 1839 during his country's turbulent history of independence. Of Spanish decent he indulged in the Maya practice of chewing the gum called chicle. In one of his exiles, as a result of another ouster from Mexican politics, Santa Anna found refuge in New York's Staten Island in 1869. He had brought with him a large quantity (around a ton, although two tons have also been reported) of chicle. Santa Anna had the idea of having the chicle processed into rubber for carriage wheels. Santa Anna sought the services of the inventor, Thomas Adams, for he wanted to find a way to refine the chicle into a rubber substitute. Adams' experiments failed since the mixture remained lifeless and did not bounce. Upon a visit to a drugstore Adams saw a little girl buying the popular sweetened chewing condiment made from the wax paraffin. Adams thought that the paraffin made a "pretty poor gum," He remembered Santa Anna's comment on the Mexican use of chicle as a chewing gum. Adams asked the druggist if he would be willing to try another kind of chewing gum. The druggist agreed and Adams hastened home to soak and knead the ancient Maya chicle into grayish balls of gum. The druggist sold out of the gum in one day. In 1876 Thomas Adams, a glass merchant, formed Adams Sons and Company with his two sons. He sold gum with the slogan "Adams' New York Gum No. 1 -- Snapping and Stretching." The firm was the largest and most prosperous chewing gum manufactures in the United States and in 1899 formed a monopoly with the six largest chewing gum manufacturers in the United States and Canada. 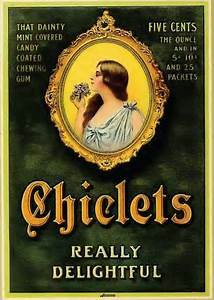 It was renamed the American Chicle Company and they produced the popular chewing gum Chiclets. Although an ancient indigenous tropical tree and fruit the chewing gum residue litters the sidewalks of major American cities. For this reason, chewing gum, perceived as a bad habit, is banned in schools and some foreign cities. American habit the chewing of chicle is associated with contemporary popular culture from the United States. The chewing of gum can be considered to be a nasty habit yet it is associated with calming of the nerves. It was promoted as just such a remedy for soldiers in the heat of battle during World War II. The effectiveness of chewing gum is probably due to the result of salivation, combined with the cleansing influence of mastication. Not accepted in certain social circles, there are other negative aspects of excessively chewing gum. These down sides are, the wear it places on joints connecting the jaw and the preparation of the stomach for a meal it will not get. Mexico is the largest producer of chicle which makes up about 30% of today's chewing gum. Commercial Chewing gum may contain a blend of different kind of latex from tropical trees, resin from pine trees, and synthetic made from materials like polyvinyl acetate, various waxes and imitation rubber. It could also contain corn syrups, sugars, glycerin and literally hundreds of flavorings. There are also natural chewing gums made from "Rainforest Chicles", evaporated cane juice, rice syrup, filtered water, natural flavor oil and natural colors. The most natural product of the Sapodilla tree is the brownish translucent flesh of the goose-sized egg-like fruit. I am very much interested to know where I can buy sapodilla chicle. The point being that I want to make my own chewing gum. Please post to this blog the contact info for where I can buy sapodilla chicle. Thanks.